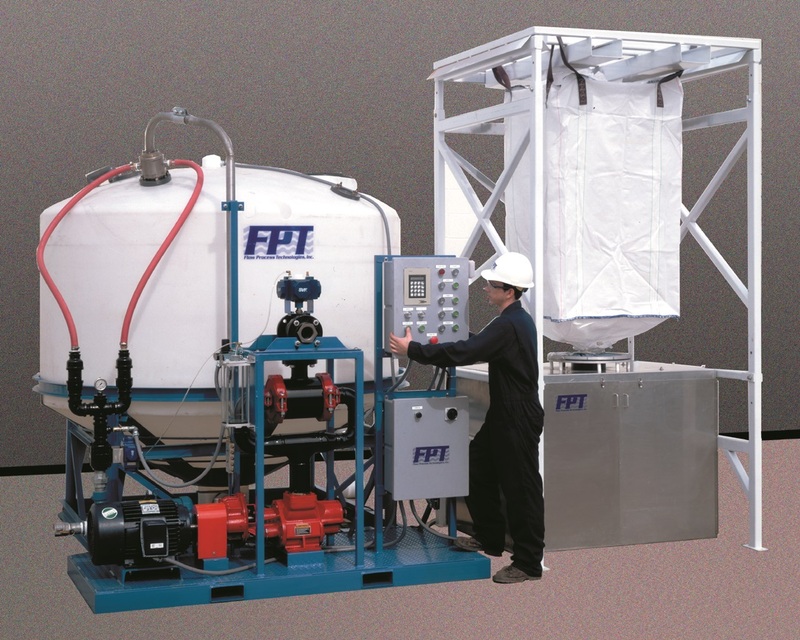 The Flow Process Technologies D-350 Dry Polymer Make Up System provides the most efficient polymer mixing and hydration available. The D-350 is capable of delivering up to 10 gpm of solution and is designed for applications where polymer usage is under 90 lb. (40 kg.) per 8 hours. Browse the D-350 techspec for more information. 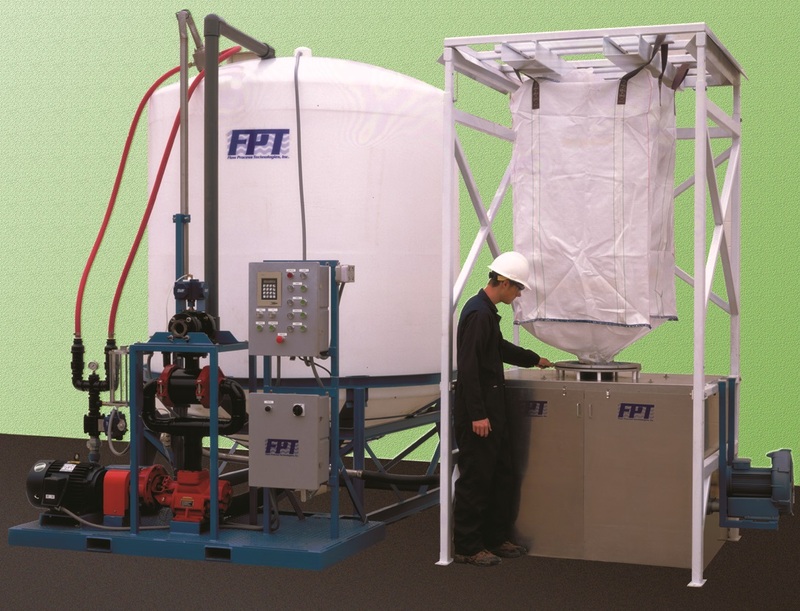 The Flow Process Technologies D-500 Dry Polymer Make Up System provides the most efficient polymer mixing and hydration available. The D-500 is capable of delivering up to 13 gpm of solution and is designed for applications where polymer usage is under 120 lb. (54 kg.) per 8 hours. Browse the D-500 techspec for more information. 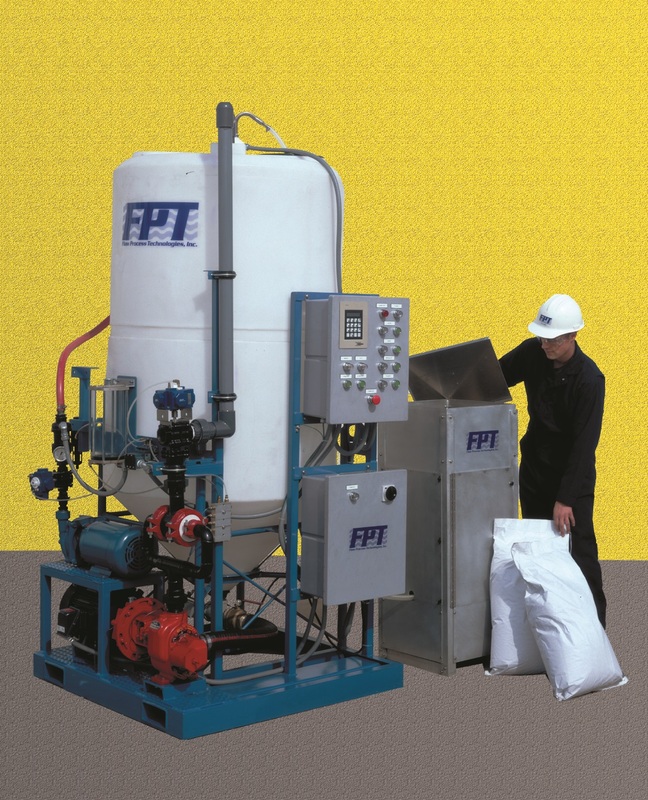 The Flow Process Technologies D-1000 Dry Polymer Make Up System provides the most efficient polymer mixing and hydration available. The D-1000 is capable of delivering up to 23 gpm of solution and is designed for applications where polymerusage is under 210 lb. (95 kg.) per 8 hours. Browse the D-1000 techspec for more information. 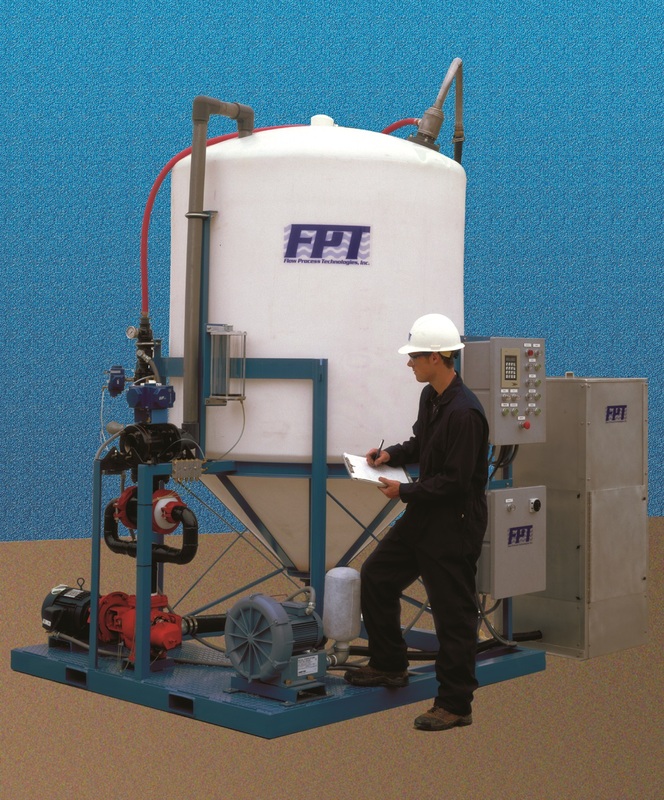 The Flow Process Technologies D- 1600 Dry Polymer Make Up System provides the most efficient polymer mixing and hydration available. The D-1600 is capable of delivering up to 40 gpm of solution and is designed for applications where polymer usage is under 350 lb. (155 kg.) per 8 hours. Browse the D-1600 techspec for more information. 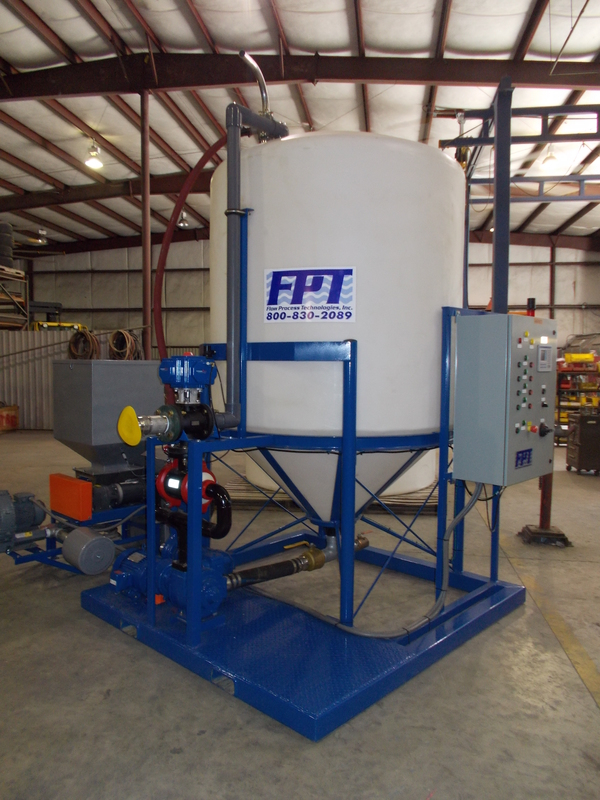 The Flow Process Technologies D-2600 Dry Polymer Make Up System provides the most efficient polymer mixing and hydration available. The D-2600 is capable of delivering up to 57 gpm of solution and is designed for applications where polymer usage is under 520 lb. (235 kg.) per 8 hours. Browse the D-2600 techspec for more information.